How about a hardware ad for a change? The Amiga CD32 was Commodore’s second attempt at making a home console out of its computer systems. 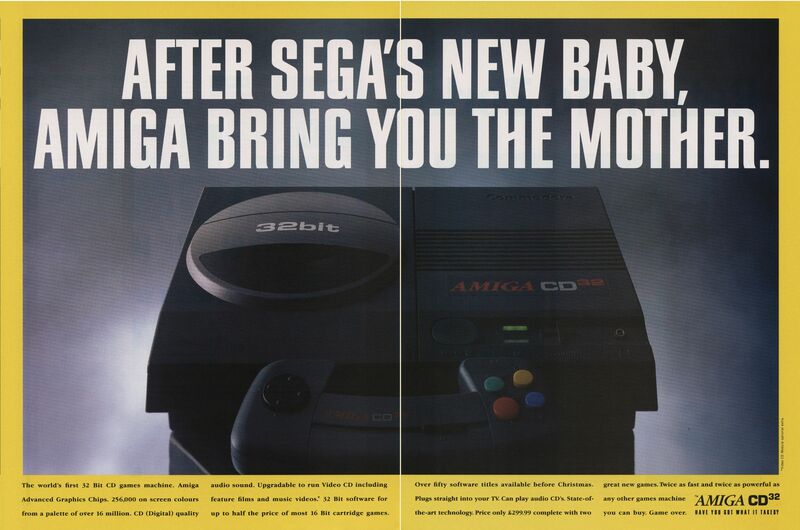 The machine launched in the UK and Australia in late 1993 to a reasonably good reception. Unfortunately, it was too little too late for the company, as years of heavy losses and mismanagement sunk the company before it could launch the CD32 in the United States.